The pages of the story turn, chapters flip forward from a chrysalis formed. Forming. Reforming. Founded firmly within a weave of twigs and trust. Becoming in the warm air of transformation. Waving around and through a bed of honor; one that, too, honors you. Expand! 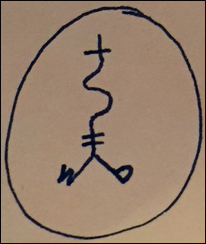 channeled message received from Oliver on 6/18/18 at 8:04 a.m. PT US. during the 1st summer rains of the 2018 monsoon season. Another week of quiet quantum change; Subtly tumultuous. Curiously presumptuous. 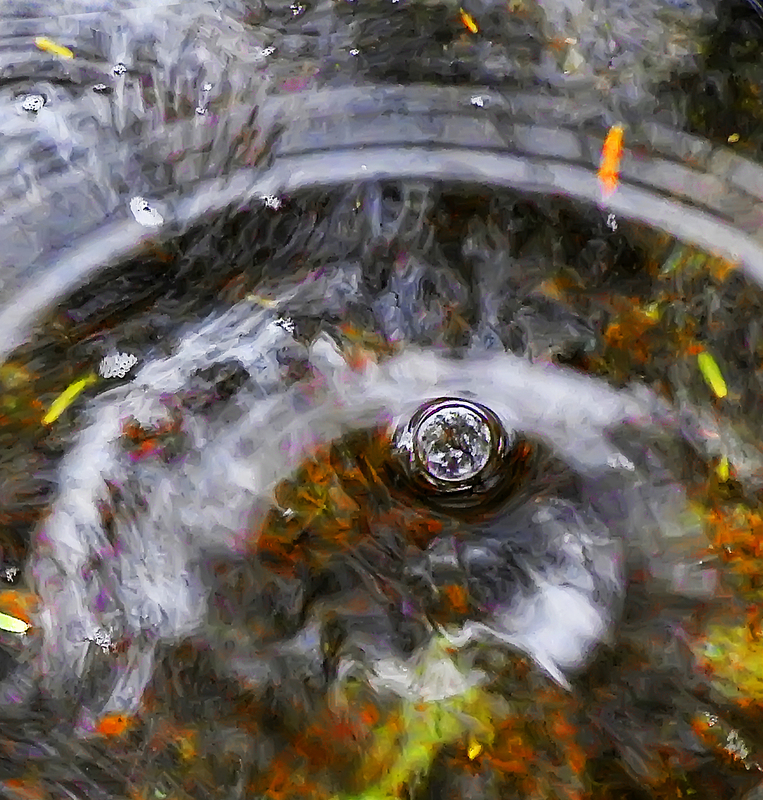 A furthered cleansing into the pathway that is Hiraeth; like a monsoon swiping all that was before, clearing a way forward; something I’m about to experience in the days/weeks to follow. I’m in the desert area mostly west of the City of Tucson. I actually drive by a tiny sign along one of the few paved roadways out here that reads (line one) “City of Tucson” (line two) “city limits” so I have a great marker for my location. And, yes. I’m really excited to experience the monsoons here – in the actual desert. I wanna see if any landlines shift due to winds, rains and the other elements of nature. I have a front row seat, too. At this altitude I’ll be able to see them arriving and leaving in the horizon. Last night I got my first reflections of fond memories when thunder simply rolled and rolled and rolled as if in a never ending loop over the mountain ranges that encircle Tucson! It was thrilling! With more on the way! I knew last week when I wrote Jackpot that the blog section “FORM,” was complete. FORM was shared with me in early March by the Oliver Collective. After an hiatus I knew it was divined to step back in to posting articles again. Yeah, I know how that sounds, but it was an energy, a feeling, I could sense it and I did what I always do. I think about it from the points of view of many and then follow the pull. In this case I was eager to write again. I had the energy and desire, too. It came out of nowhere, and that’s probably why I followed it… knew to follow it. Part of the feeling was that the first chunk of articles had a purpose. They needed their own “box” in this world. Box given, in the creation of the category THE FOUNDATION, I was free to express with this new energy of FORM. The feeling I got was that this website was becoming a resource, and the best way to capture the energy desired by the collective for infused publication into the articles to follow would best be served by creating a new category, call it FORM, as its purpose was, in part, to add matter, mass, to the information having been imparted thus far. A preference for my consideration was one of progression – of a growing identity with consciousness. I’ve migrated to a state of scientific analysis in the untangling of the intangible to one that feels a better fit. I’ve clothed myself in the sundries of psi. PSI research of the formless kind. The spiritual. That of knowing. Of fact, fiction and fate! Yes, Fate and faith. I have such faith. My faith is boundless and takes over in the onward movement of this website. In other words, blog posts to follow in this new, 3rd tier, or category, THE FAITH, will grow into a series of channelled information beyond form. I’ll do my best to explain what I can in an “automated writing” sort of way. Anything else feels disingenuous to the process. I was pinged (tho I prefer other analogies) to close out the category “Form” and post in a new one, “Faith.” And I am. I will. Why? Because I believe in this information. I don’t think about it a lot. I follow the pull, modify and refine as it linearly unfolds, and with that; especially in the long haul, in retrospect, with a growing perspective, I can see that these pulls have structure. Mass. Message. Look at it. I blogged like a crazy lady for months, building up a library of 128 articles in about 4+ months. Then I got the impulse to stop. Me following those signs, I did just that. I stopped. Even turned the sight off, so to speak, using a plugin to make the pages invisible to the public because I so believed the value of heeding those messages. When I got the psychic nudge to start again it was clear that if I turned the site back on I had to create a new category of conversation – one moving from the basics now told (in articles pre-break), to a new one building upon that now started. A library of “form.” So I called it THE FORM. Starting with this writing, the 3rd level of perception is to be captured. That having to do with faith. Now don’t get all traditional on me and limit this to religion, or science, or even literary hyperbole. Faith is a personal thing. I use the word thing specifically because it can be any of so many different things to different people. That’s not for me to step into. Why I set up this third category with the label THE FAITH is because that’s what I was impulsed to do. Literally, the impulsed to make the new category and begin posting there was instantaneous. Doing it made sense… made soo much sense, especially as this blog has been evolving from its own intent. Once I set up the quick update and really thought about the labels given to each of these categories by that which impulses me, laid out, I believe, to be delivered this way, as I have been doing it, set long ago by something more divine than I, and I’m pretty damned divine! I refer to that beyond my full contemplation yet within my complete awareness of presence that I know this whole website “build-out” is becoming what it was meant to become. In other words, and until further notice (to me), the tone of the articles will be of a more etherial nature. What do I mean by that? I’m not exactly sure. What I do know is that the shift has begun and I’m on board. I’m compelled at this moment to just write what comes and type it below. So, as weird as that sound… even weirder to do, here goes. … their “it” for that perfect “their” fit. And, literally, that’s the end of this entry. It isn’t meant to have a traditional beginning, middle an end to it. That’s too literal, and this… Well, this feels like something else to me. More to come that is outside of form. That chapter’s been written. You can find what I’ve written under the blog category, FORM, here, or click on the word FORM in the right sidebar for more. 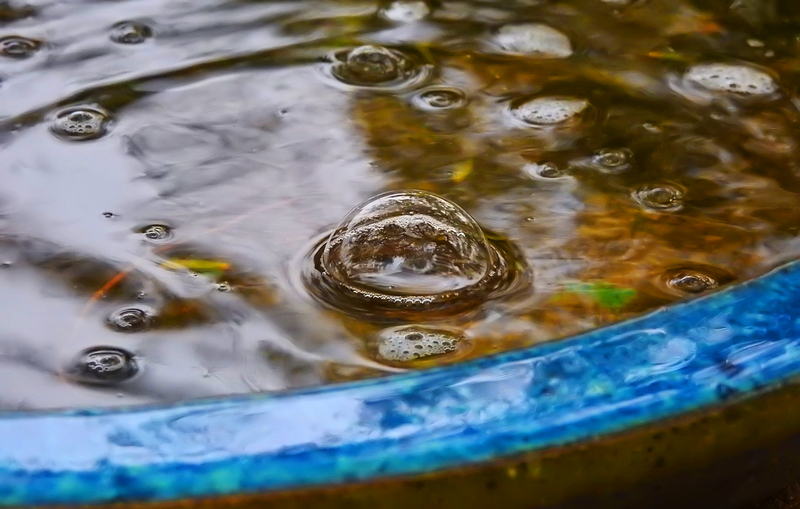 Note: Banner / Blog page placeholder image is of water bubbles in the bird bath in the back garden of the property where I’m staying in Tucson, AZ on the first rain of the monsoon season. To view the full-sized image, before cropping click here.